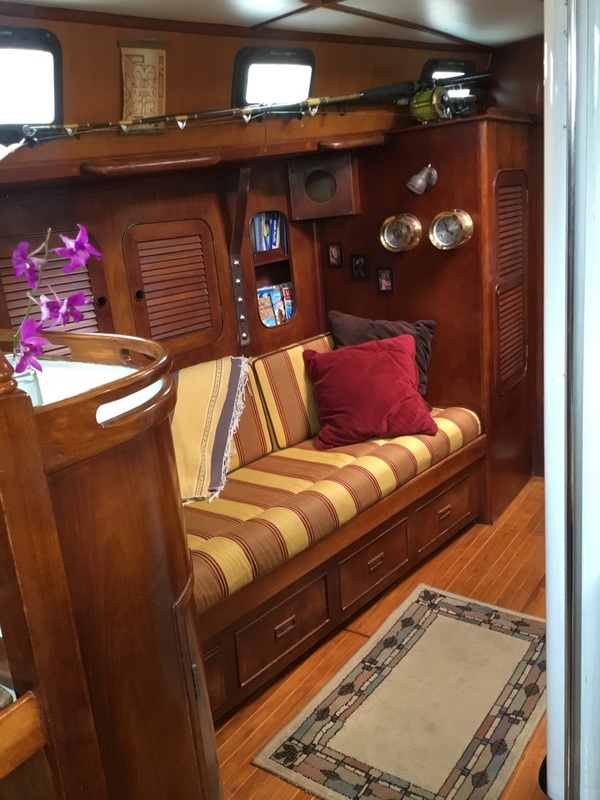 Nautilus Yacht Management is proud to present this beautiful example of one of the most beloved and sought-after cruising yacht, the Kelly Peterson 46. 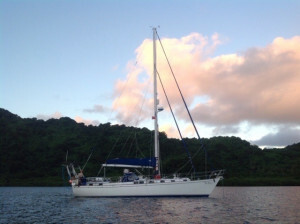 Aptly named ‘The Rose’, she was built by Queen Long Marine in 1985 and is hull number #18. 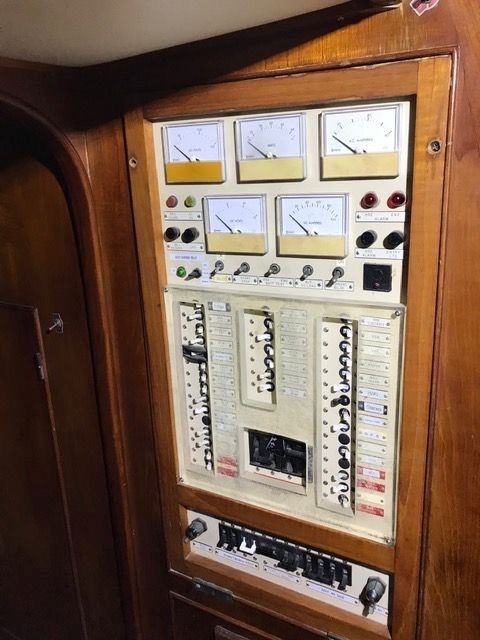 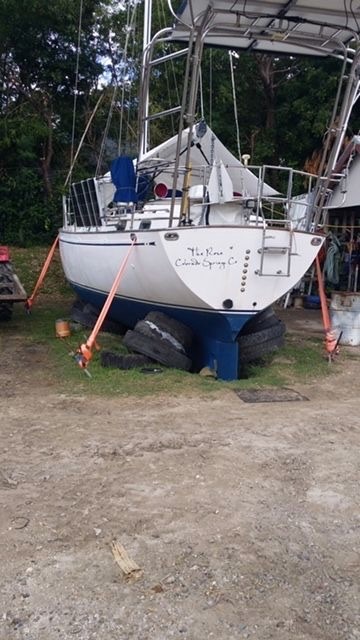 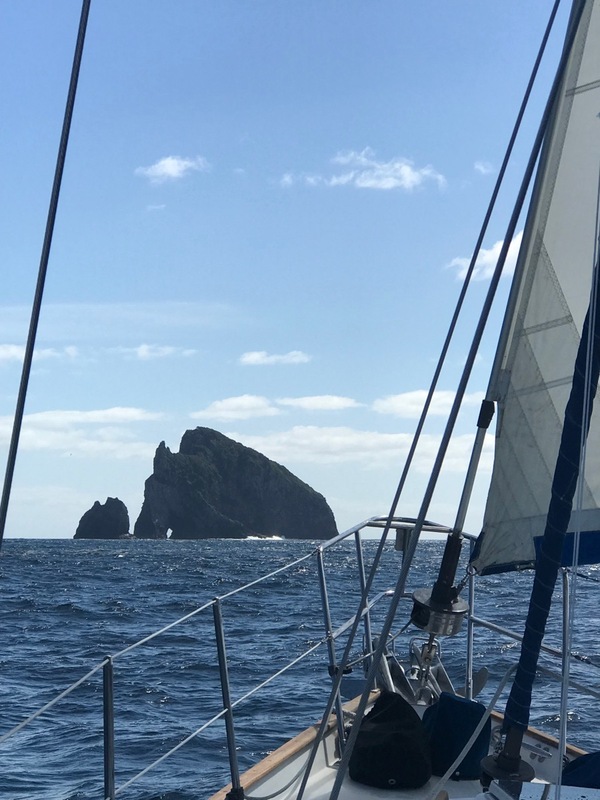 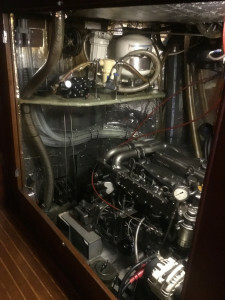 While in New Zealand in 2018 ‘The Rose’ was refitted a second time to the cost of over USD$80,000 over an intensive 4 months period. 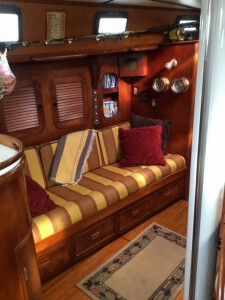 She presents if beautiful condition and is a credit to her owners. 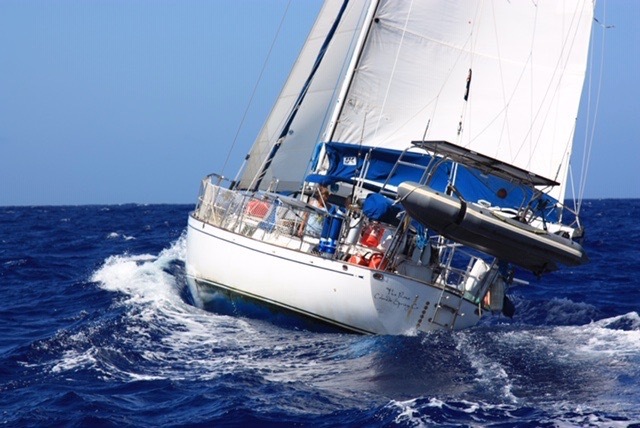 She is ready to continue blue-water cruising at a moment’s notice and is one of the best example of the KP46 we have ever seen. 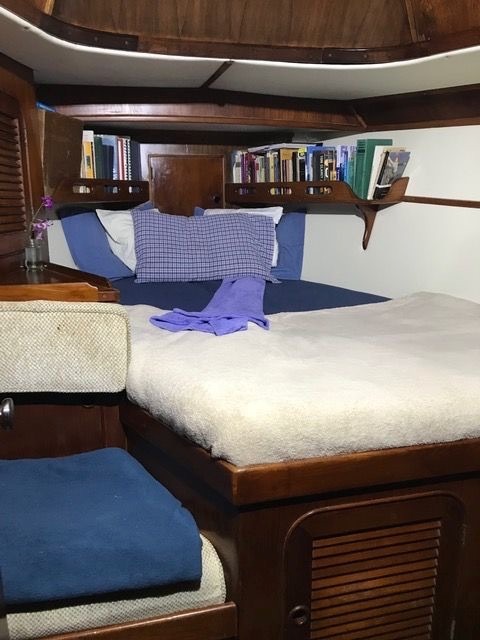 She is also attractively priced as he owners have new commitments back in the US that unfortunately mean that it is time for ‘The Rose’ to continue her adventures with a new family. 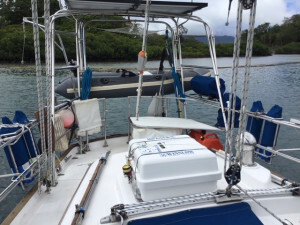 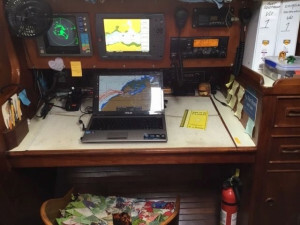 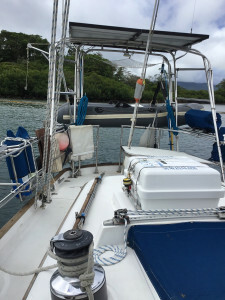 ‘The Rose’ comes with an impressive list of equipment including full range of cruising electronics, AIS type B, radar, watermaker, dive compressor, 6 people liferaft, and much, much more. She can also accommodate both 110V and 220V. 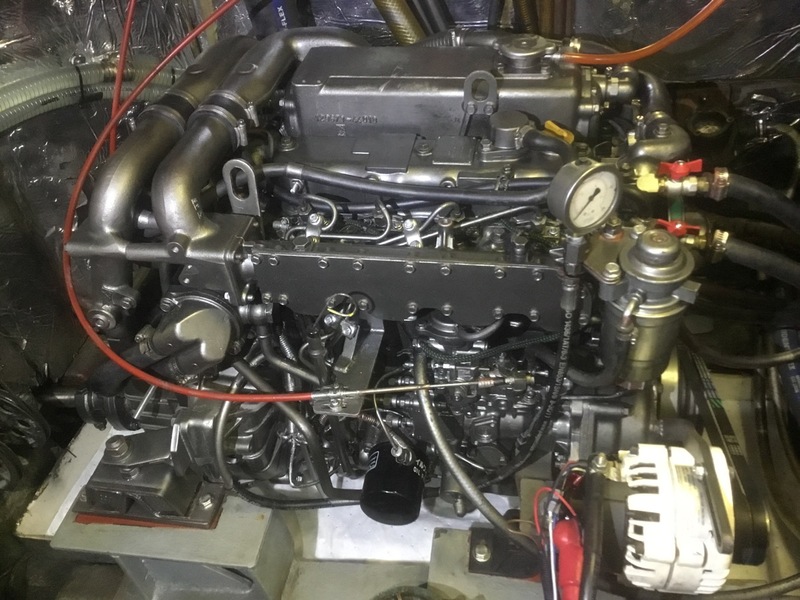 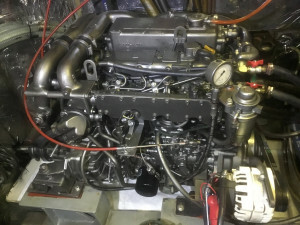 As part of her four months haul out for refurbishment between May and September 2018 by one of New Zealand’s top shipyard, her reliable Yanmar engine was stripped to the block and fully rebuilt. 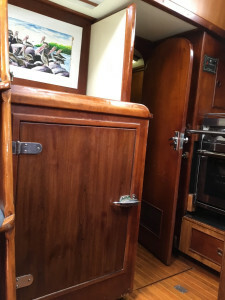 ‘The Rose’ interior is just lovely and warm, with the beautiful solid teak fit-out in absolutely gorgeous condition. 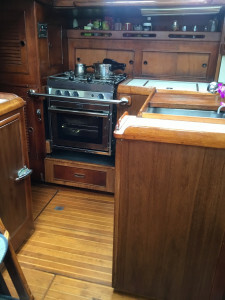 The head lining was replaced and the timber re-varnished. The upholstery is tasteful and of very good quality. It presents in beautiful condition. The Kelly Peterson 46 needs no word of introduction amongst cruisers. 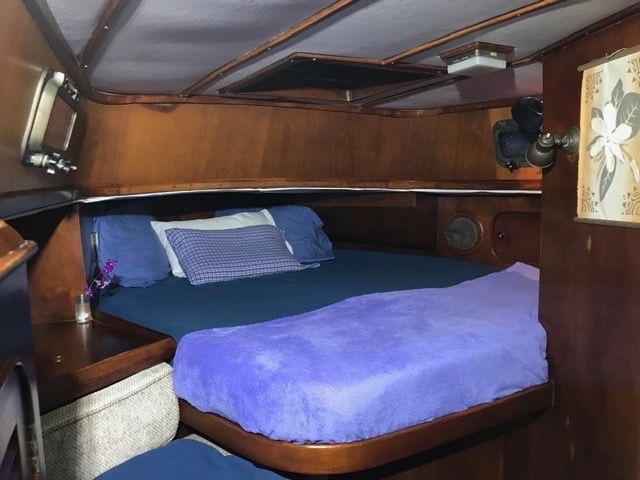 Few boats come close to the KP46 as a well-rounded cruising yacht and the design’s reputation as a go-anywhere blue-water cruiser has not been tarnished by over thirty years of throwing these boats in almost any condition imageable at sea - quite the contrary. In fact, after a two decades of ‘champagne boats’ style production boats designs with fashionable but unpractical open cockpits, flat bottoms, dagger keels and shallow bilges, the trend is now solidly returning to a more durable and sea-kindly design of which the KP46 sits at the very top of her game. When modern boats will slam down waves and send nerve-racking tremors all the way to the top of the mast, a Kelly Peterson will ease over and chop the top of the wave in a gentler motion and remain relatively un-disturbed in the worse weather. 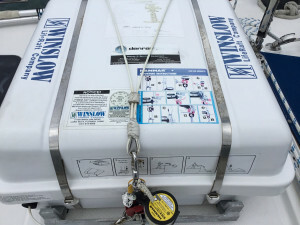 When modern rigs will pump, gyrate and self-destruct over a few days of pinching up-wind in rough seas, the Kelly Peterson’s well-supported and balanced rig will mean pinching almost just as high but without the danger of repeated impact stress. 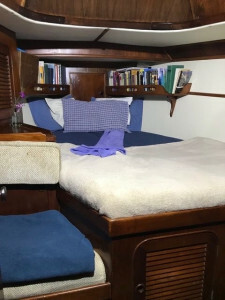 When an open cockpit with far aft steerage will see you exposed to the element, quickly tired and dreaming about a well-enclosed and well-protected centre cockpit, the sacrifice of having a slightly less roomy cockpit to entertain your guests will rightly be put in perspective. 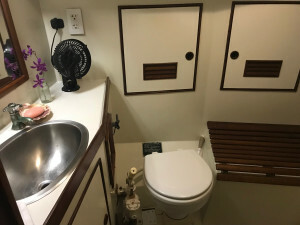 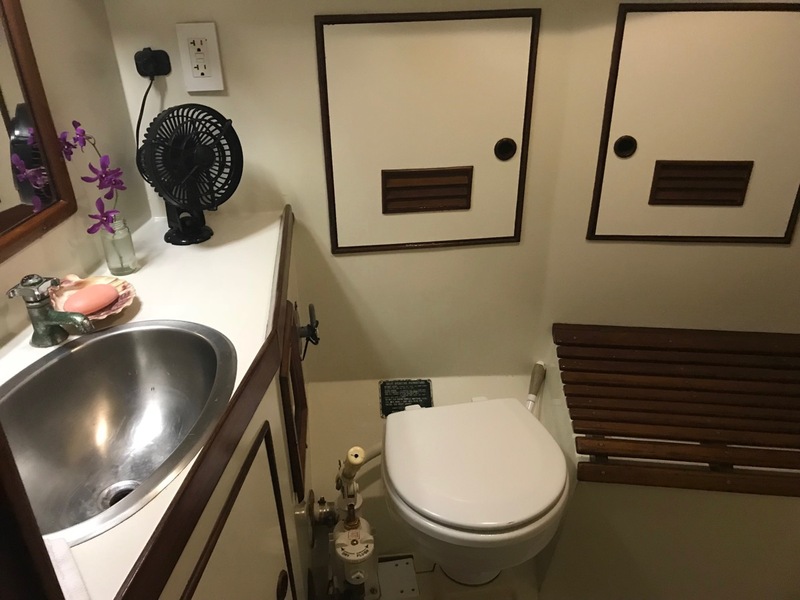 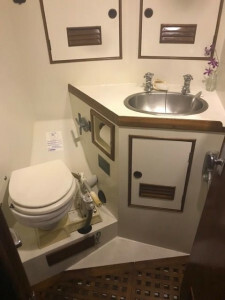 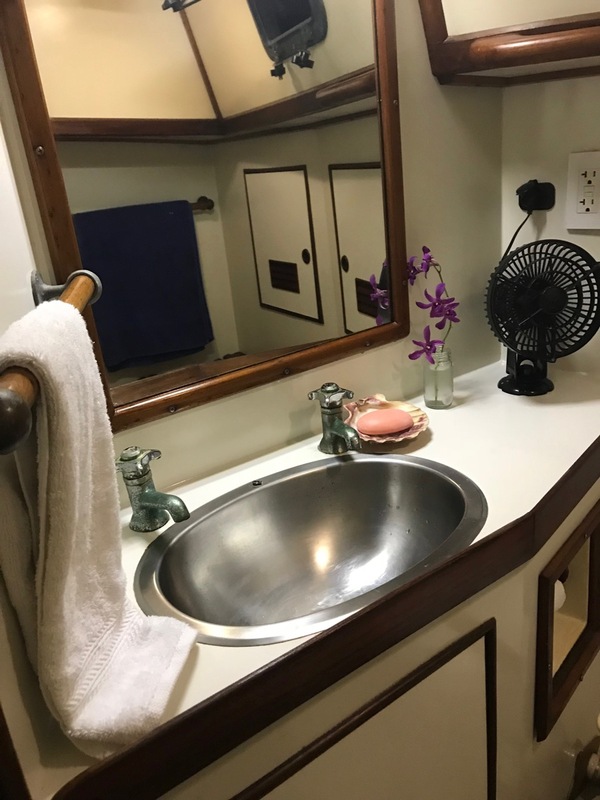 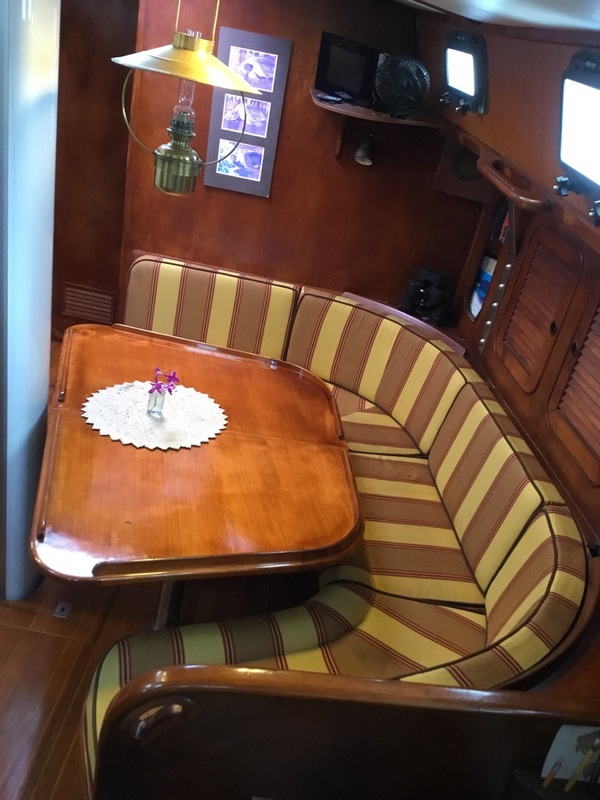 As for the interior, where cost-effective trends have conquered the market with cheap laminate and angular interiors, the poetry of a proper ship’s cabin is what more and more people are now returning to. 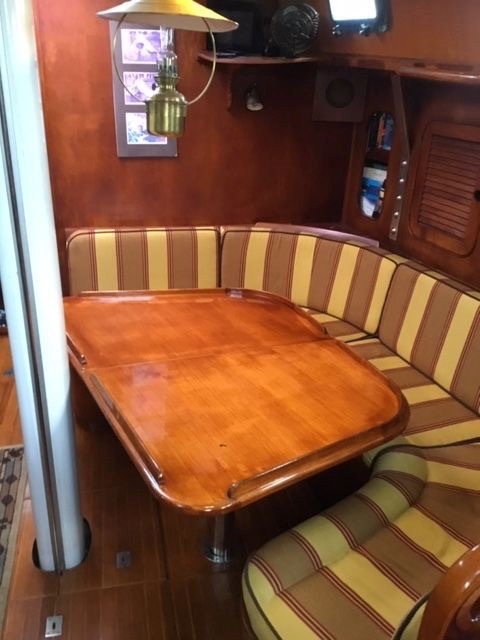 Aboard ‘the Rose’ you will be seduced by the solid teak fit out with its silky, honey-coloured hues. 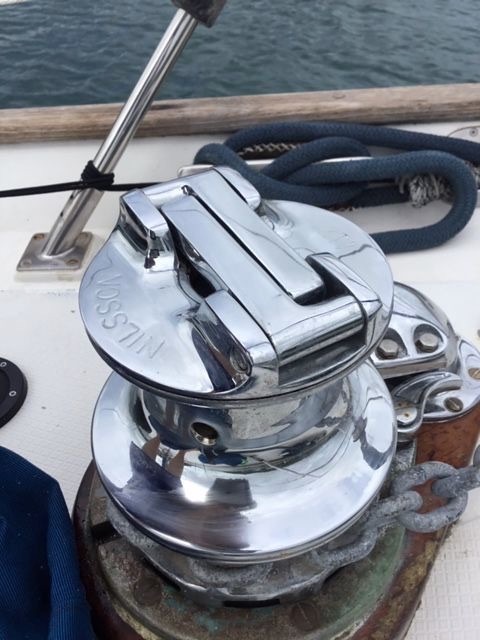 Reading about the Peterson 46, you will probably discover that not all are the same. 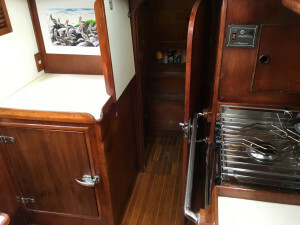 Both the Kelly-Peterson 46 and Peterson 46 were built in Malaysia, with some built by Queen Long Marine and some by Formosa, although the Formosa-built boat is a slightly different design as it was created of a 2’ extended version of the KP44, rather than as a new design, unlike the Kelly Peterson 46, which was created as a new design by Doug Peterson. 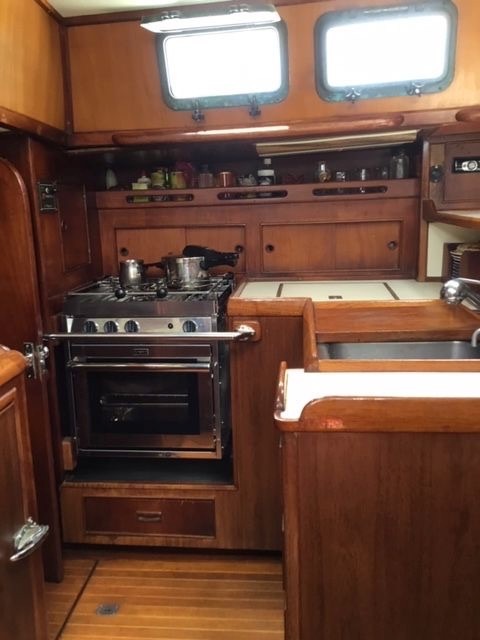 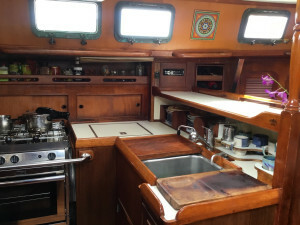 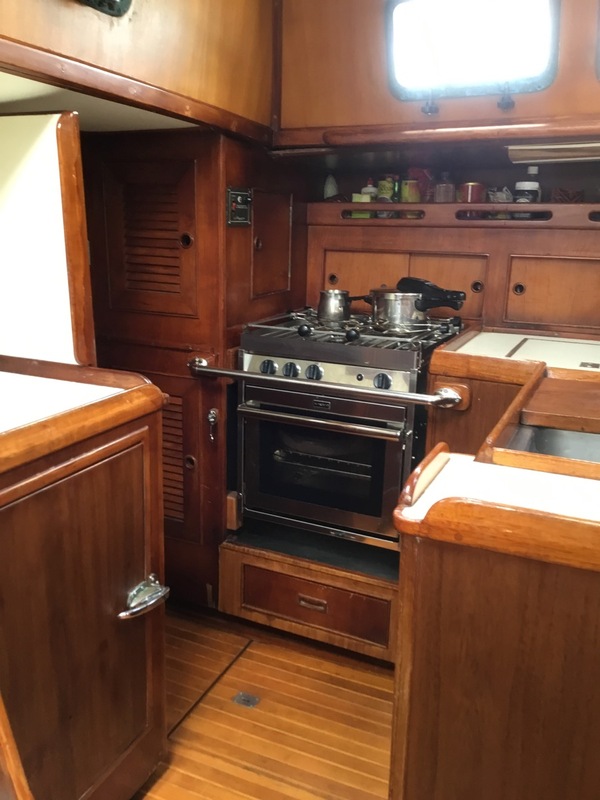 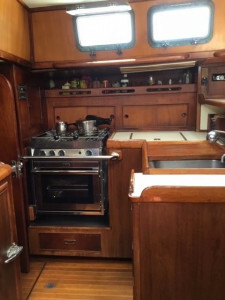 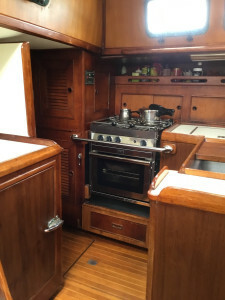 The Formosa-built boat, to avoid confusion, was named Peterson 46, and the Queen Long built boats, which building was directly supervised by Kelly and Peterson, was named Kelly Peterson 46. The Kelly Peterson 46 built by Queen Long Marine (who also builds the renowned Hylas Yachts) have a reputation to be better built boats as this shipyard is regarded to be the finest boat builder in Tawain. 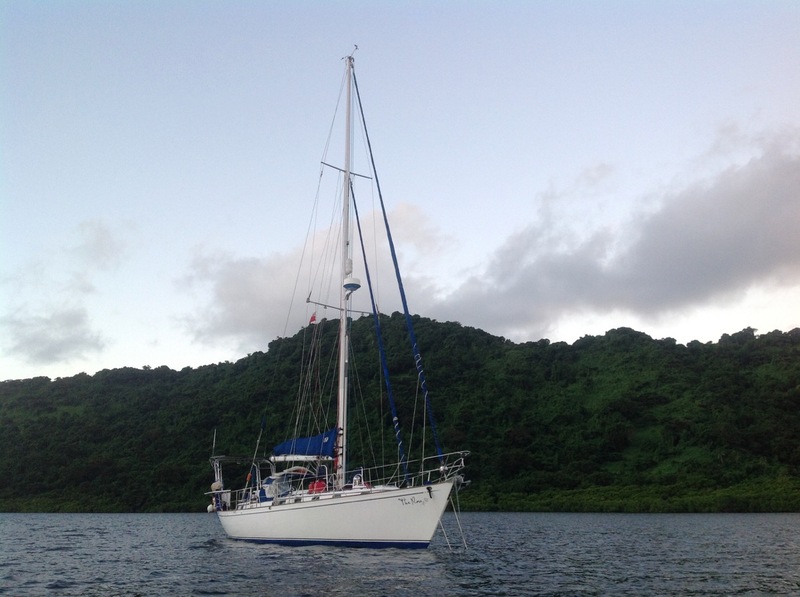 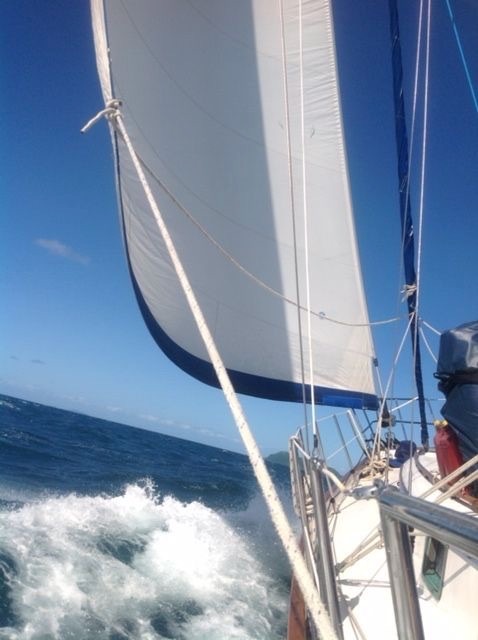 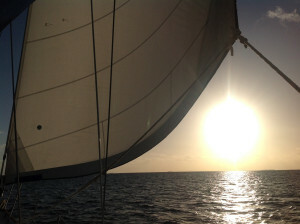 Truly this beloved sailboat has been a wonderful portal to adventure for us. We find nothing lacking in her. She is solid in any weather yet loves to get up and go even in light airs. 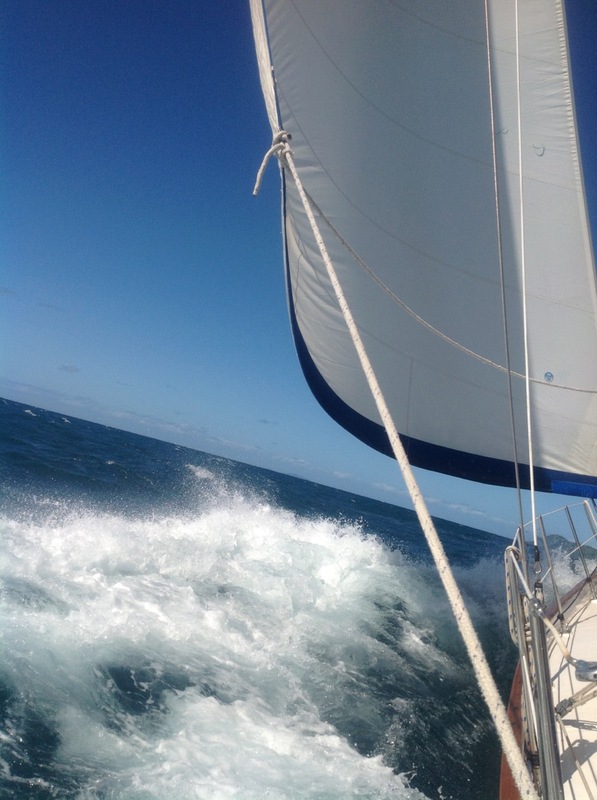 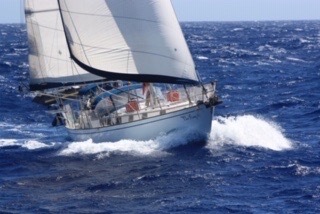 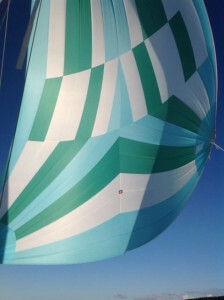 She is breathtaking with the asymmetric or wing and wing downwind and thrilling close hulled cutting through the waves. She is a true sailor’s cruising yacht. Appropriate pyrotechnics etc, pfds etc…. Hull was constructed in the well known Queen Long Marine Co. Ltd. shipyard in Kaohshiung, Taiwan based on licensed design by Doug Peterson, Naval Architect. 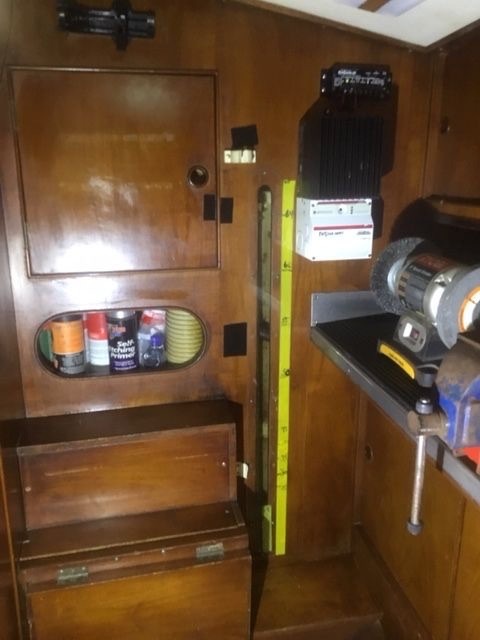 Electrical & mechanical completed in the USA at Jack Kelly’s yard in San Diego, California.